Psychology is only available as an A-Level subject. In Year 12 students will study core topics in Psychology. These include: Memory, Attachment, Social Influence, Psychopathology, Research Methods and the main Approaches in Psychology. In Year 13 students investigate Relationships, Schizophrenia, Forensic Psychology, Research methods and Issues & Debates. 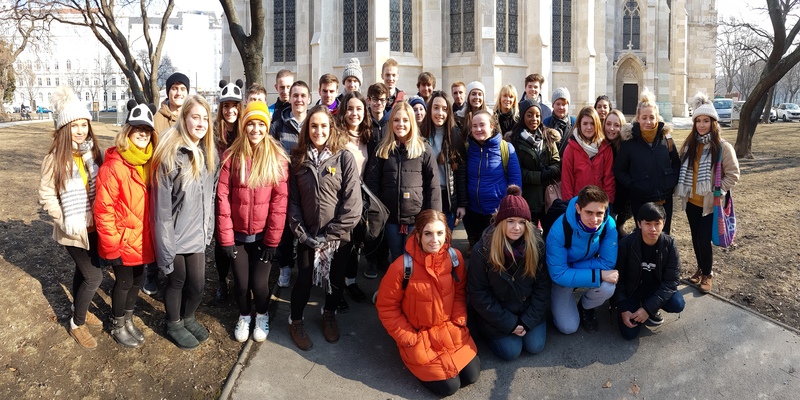 Students will have to opportunity to travel to Vienna in February of year 2 of the course. Here they will visit the Sigmund Freud museum, the Narrenturm (a former psychiatric institution) and Mauthausen Concentration Camp, as well as taking part in other activities and excursions such as ice-skating, an underground tour of Vienna’s central district, a visit to Vienna zoo and attending a local football match.